The Old Hastings Mercantile & GalleryRecord Owner? Log in. Both Lillian and Gary are musicians and artists. This is clearly reflected in not only the wide-ranging product selection but also in the unique finishing touches to this century-old building, Ormsby's original general store. As the former owner of The Wilno Craft Gallery, Lillian brings 16 years of experience to this new venture. 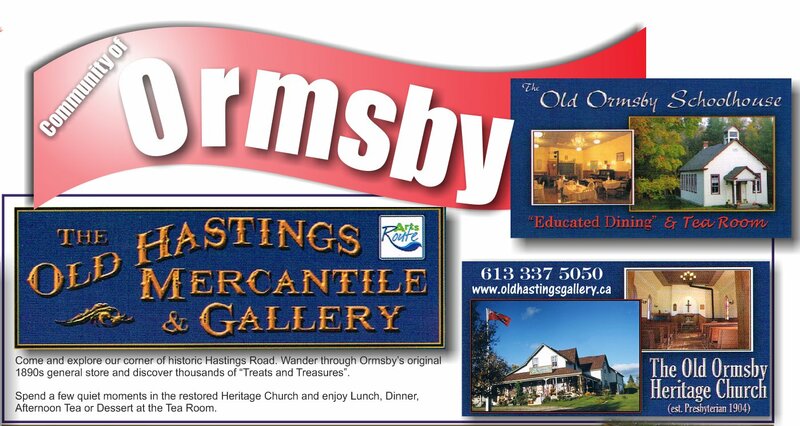 Have something to say about The Old Hastings Mercantile & Gallery?